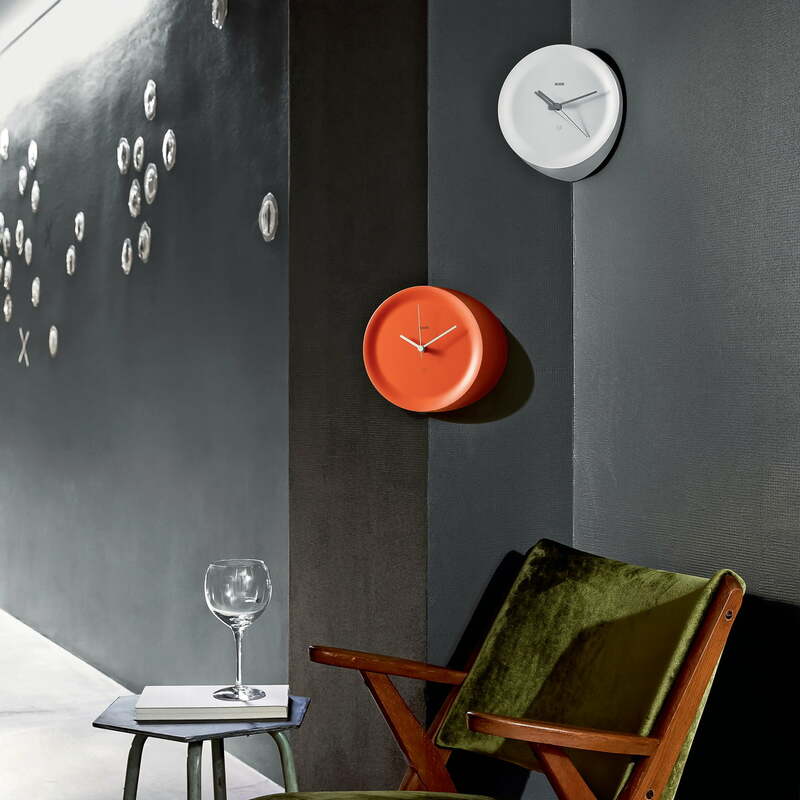 Ora In, designed by Giulio Iacchetti for Alessi, is a corner clock that can be hung between the walls and thereby uses spaces which is otherwise of little use. A solution that enables an absolute usability of the item. The time can even be read from angles that are not perpendicular to the clock. The special feature of the clock: the Ora In cannot be hung up on a flat wall, but only at a 90 degree angle. The reduced form, the lack of decor and the regular appearance of the grey hands bring out the formal purity of the clock and enhance its visual impact. A design with essential lines that adapts flexibly to different spatial situations in workplaces or in the privacy of your home. The Ora design by Giulio Iacchetti is available in two different versions for corners and edges and in different colours. 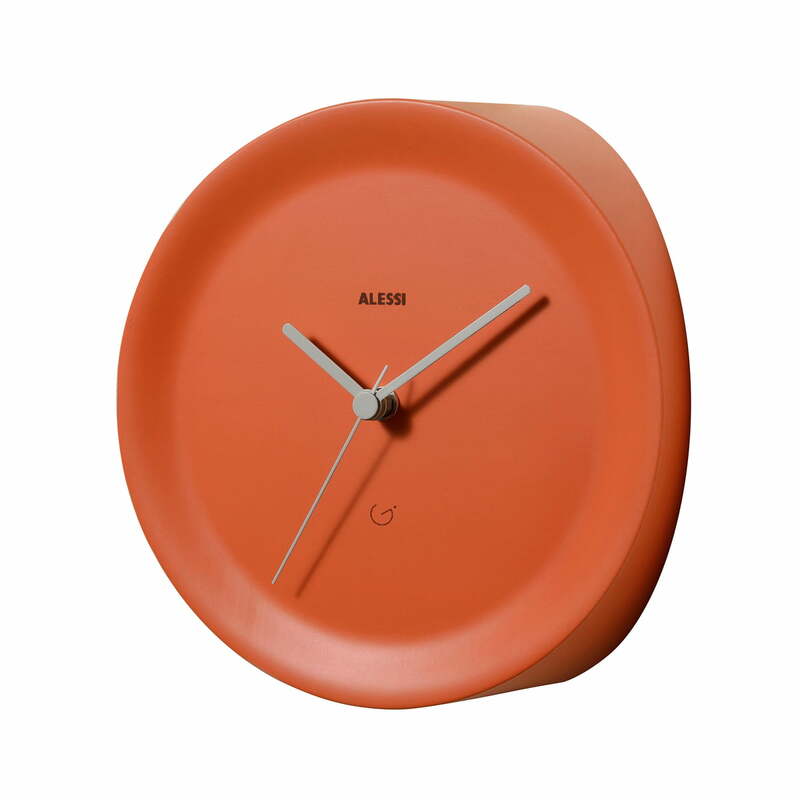 Individual product image of the Ora In corner clock by Alessi in orange. 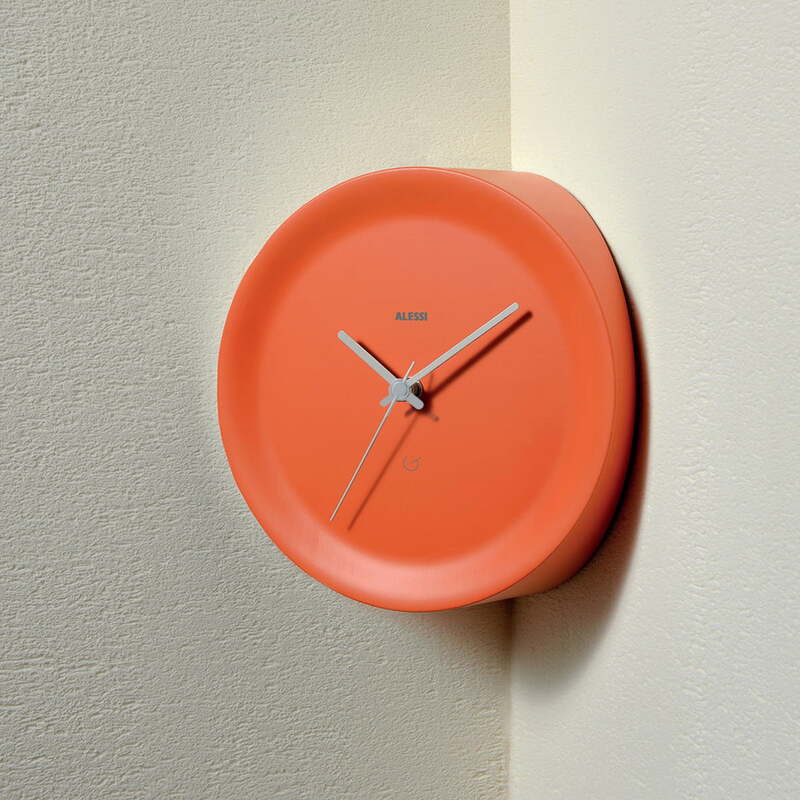 The Ora In, designed by Giulio Iacchetti for Alessi, is a corner clock that can be hung between the walls. The reduced form, the lack of decor and the regular appearance of the grey hands bring out the formal purity of the clock and enhance its visual impact.